Beds and Pressure care mattresses to enhance quality of care. Home can be challenging emotionally and physically. We can address the physical challenge to a great extent by introducing equipment and solutions that meet specific situations. A Motorised Domestic Bed and a suitable mattress will be a starting point. Speak to one of our friendly team to arrive at the features that are essential for a bed, as this might a long term investment. You could be investing a lot if you did not have a detailed understanding of your needs. Our 35 years of experience will help you save a lot of money and lot of post purchase regrets. Once you identify the appropriate bed, the next crucial decision is about the ideal mattress that you must have. Are you seeking an alternating air mattress to deal with pressure issues already present? Or are you looking at preventing pressure care problems by choosing a high density Visco Elastic memory foam mattress? We will help you choose from a range of pressure care mattress from a low budget simple foam mattress to the top of the range pressure care mattresses. Come and see the range of solutions at our store or speak to one of our consultants today. Add a head board to enhance the décor of the room. We have a choice of colors for your head board and bed frames so that they match with your taste and preferences. Would you be looking at a companion bed? Its good to have a bed rail for the bed that you choose. There are a variety of bed rails, but we can help you find the most suitable one based on your needs. It could be a drop down rail, or just a slide in simple rail. 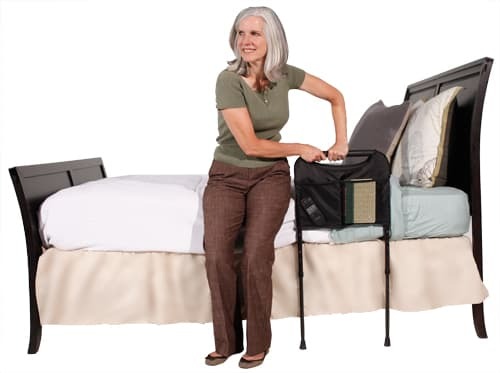 You also can choose to have a bed pole to assist with the person to lift themselves. Come and see what other accessories can help you to improve the quality of life for your near and dear ones. Speak to one of our very highly experienced consultants today. In one of the largest showrooms in the city, you will find a wide range of solutions. You are certain to find a bed, mattress and other accessories that meets your needs. Our highly experienced team will guide you to the most appropriate bed, a suitable mattress and other essential accessories after understanding your unique requirement. We have an excellent service team, should you need it at any time. Expertise: We carry the largest range of Aids for daily living in our showroom. I’D LIKE TO FIND A BED NOW!